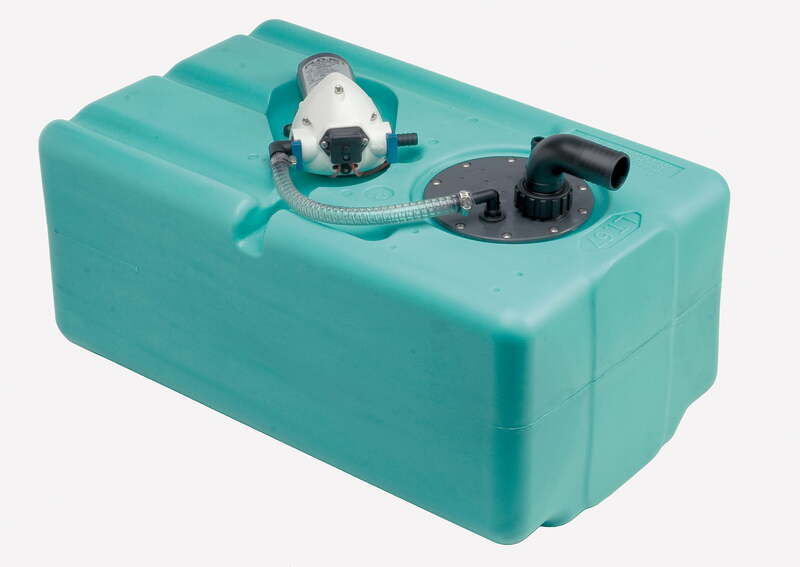 Water tank with pump, suitable for shower/sinks. With filling niple diam. 38 and breather. Dimension: 850x390x200 height, mm. Weight 5 kg.